The Byron Community Unit School District takes providing a safe and respectful learning environment for our students and staff as a top priority. Since the beginning of the school year, we have taken significant steps to make sure our school and campus is as safe as it can be. We will continue to do so throughout the course of the school year. Though not exhaustive, below are some new safety measures we have taken to improve safety on our campus. The Byron Community Unit School District recently created School Safety Task Force to help provide feedback on school safety. This task force, comprised of approximately 30 parents, staff members, administrators, Byron Board of Education members, Byron Park District personnel, and local emergency responders, have met several times to tour the facilities, ask questions about safety-related practices, and provide recommendations on how we can improve the safety of our schools. The committee will continue to meet over the course of the school year and the District will use this feedback to drive safety improvements for many months to come. Byron CUSD 226 has now adopted The Safe School Helpline. Students, parents and community members should use the Safe School Helpline to report threats of violence, suicide, bullying and illegal activity that could harm children in our schools. This service will provide users the opportunity to leave a message or speak with a live crisis counselor for immediate needs. The helpline is administered by an independent, outside company. All communications are PRIVATE, CONFIDENTIAL and ANONYMOUS. 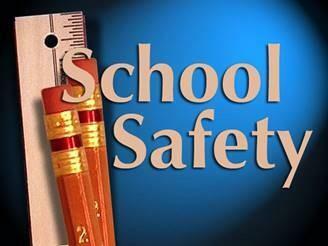 The Safe School Helpline can be accessed via three methods - By telephone at 1-800-4-1-VOICE ext. 359 (1-800-418-6423 ext. 359); online at www.safeschoolhelpline.com; or by texting 66746 and typing "TIPS" as the message. Your message will be communicated with school officials. All information will remain anonymous to encourage the reporting of all safety concerns. Your report will be assigned a case number, which you may use later to confirm that your report was received and investigated. All Parents should have received a letter and brochure explaining how to use the helpline through their SkyAlert account. Brochures are available in each site office upon request. Posters will be on display in each school building. If you have any questions, please contact your child's building principal. 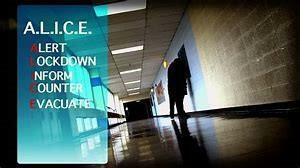 ALICE (Alert, Lockdown, Inform, Counter & Evacuation) is a training program that helps individuals and organizations more effectively plan for, and respond to, acts of targeted aggression. In conjunction with our local police force, several district administrators attended a conference to become ALICE trainers and have already begun training staff on the tenets of the program. We will train our students using age appropriate words and actions. In conjunction with our local government and police force, we have increased the hours that our schools will have a certified police officer within them, both during school and at school activities. 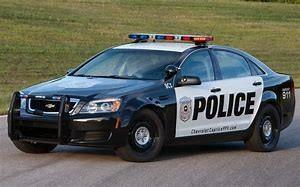 As the year progresses, the Byron Community Unit School District will continue to pursue increasing the overall police presence with the ultimate goal of hiring a School Resource Officer for the district. 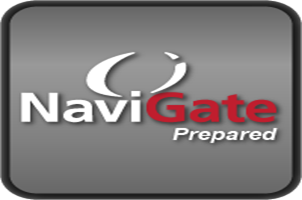 Navigate Prepared is a software system, or app, that allows district staff and local emergency personnel to have shared access to emergency operating plans, facility information, and real-time communication during an emergency situation or training event. The tool allows any member within the system to trigger an alarm for several emergency scenarios. We have already begun implementing this program, with local law enforcement, throughout the district.